For the 40th birthday of Proparco, the subsidiary of the Agence Française de Développement (AFD, French Development Agency) focused on private sector, AFD, Bpifrance and the La French Tech have launched on 19 September the second edition of Digital Africa, a startup competition and digital innovation to support sustainable development in Africa. The first edition of the Digital Africa challenge, launched in October 2016, received more than 500 applications and rewarded 10 winning startups which convinced the judging panel on the potential impact of their innovation. Building on this success, AFD and Bpifrance decided to renew the experience with the objective of offering a long-term support to the emergence of mature and solid digital ecosystems, catalysers of new economic opportunities. All the startup winners of this second edition of the Digital Africa challenge will benefit from a high visibility and access an international network of partners, clients and investors. They will be part of a community that gathers the best talents of digital innovation in Africa and for Africa, in order to share experiences and good practices. 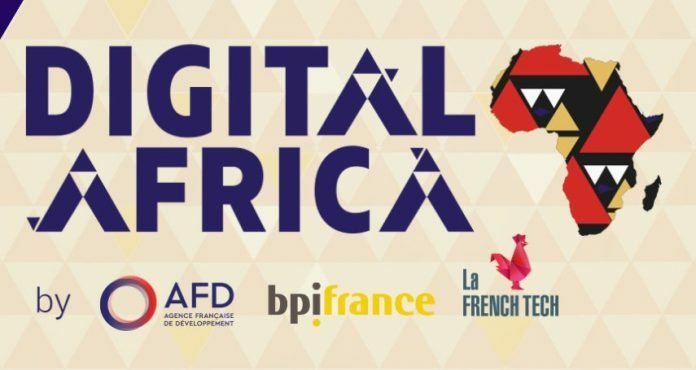 The 5 African winning startups will be accompanied by the AFD through an “acceleration pack”, a customizable, technical and financial support up to a 30.000 euros value. The 5 French winning startups will be accompanied by Bpifrance up to a 10.000 euros value support pack to strengthen their expertise and develop new opportunities on the African continent: Bpifrance Université training, networking and discovery trip to Abidjan and Cape Town with the French entrepreneurs community in the French Tech Hubs. 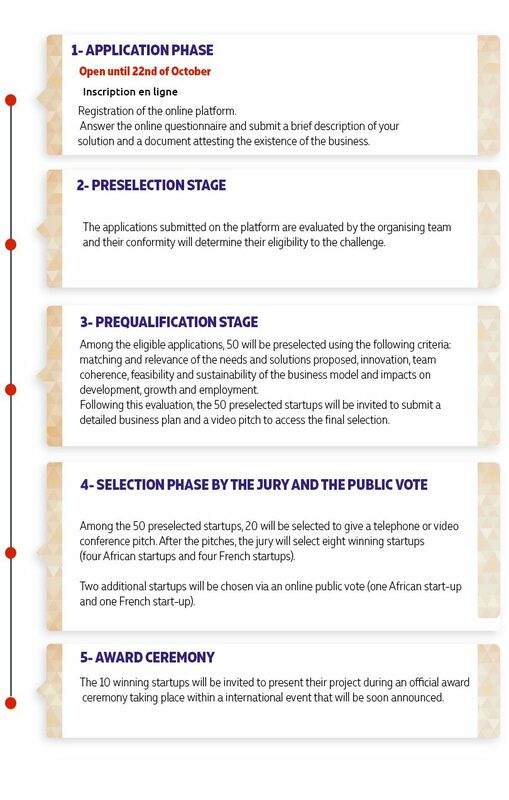 A final selection by a jury composed by experts of the technological and entrepreneurial ecosystem in Africa.